Story: Oracle Admits Hiring Investigators who Sought Trash of Pro-Microsoft Groups, 6/28/00. (June 28, 2000) Oracle Corporation admitted on June 27 that it hired the private investigation firm with ties to the Clinton administration that attempted to pay janitors for the trash of pro-Microsoft public policy groups. Oracle released a statement on June 27 that said that "Oracle Corporation hired Investigation Group International (IGI) ... When Oracle hired IGI to investigate Microsoft's numerous front organizations, we didn't specify how IGI should go about gathering information. We did however insist that whatever methods IGI employed, those methods must be legal. IGI repeatedly assured us that all their activities were in fact 100% legal." IGI's Chairman, Terry Lenzner, is a former counsel to the Senate Watergate Committee who investigated Richard Nixon's dirty tricksters. IGI has more recently investigated Paula Jones and other critics of Bill Clinton, leading its some to liken it to a secret police. IGI has also investigated critics of the tobacco industry. IGI's Executive Vice President is Larry Potts, a former high ranking official in the Federal Bureau of Investigation who left the FBI following improprieties in connection with the Ruby Ridge incident. 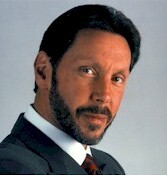 Larry Ellison, CEO of Oracle, appeared on CNN on June 28. He was unapologetic. "Am I supposed to feel bad that we've exposed Microsoft as hiring the Citizens for a Sound Economy, saying anything that's bad for Microsoft is bad for America? No, I'm -- you know, these guys are incredible." "I'd like Oracle to be the No. 1 software company in the world. And if Oracle becomes the No. 1 software company in the world, I end up passing Bill Gates," said Ellison. Oracle produces database management systems software. Consulting, technical support, and other services account for more than half of its sales. It has a market capitalization as of this writing of $235 Billion, compared to Microsoft's $415 Billion market cap. Microsoft produces competing products, including Access and SQL Server. Ellison denied that anything illegal had been done. "Well, I learned about all of this yesterday. But there is – you know, we have been assured repeatedly there were no illegal activities at all by IGI. We insisted that -- you know, our people in Washington, D.C., who hired IGI, insisted there were no illegal activities. We've done -- they've checked insofar as they can check that no -- there was nothing done that was illegal." The Wall Street Journal broke the story earlier this week that IGI employees had tried to buy trash collected from the offices of the Association for Competitive Technology (ACT). Jonathan Zuck, President of ACT also released a statement. He said that "I'm shocked and saddened that one of the leaders of the community I represent has stooped so low in order to forward its political agenda." "Clearly, as ACT's membership continues to grow into the thousands of companies and Oracle’s political allies are diminishing, Oracle found itself compelled to abandon the substantive debate in favor of smear campaigns and mudslinging." Microsoft also released a statement. It stated that "This is dramatic evidence that Microsoft's competitors have engaged in a massive and ongoing campaign to unfairly tarnish Microsoft's public image and promote government intervention to benefit themselves." "Unfortunately, the published reports and Mr. Ellison's attempts to justify his company's behavior only raise many more questions about the nature, scope and duration of Oracle's activities. These published reports may only be the tip of the iceberg of their activities." "Oracle's attacks on trade associations and public policy groups are disingenuous and hypocritical. Obviously, Oracle has funded or supported numerous groups that have attacked Microsoft in recent years, such as ProComp, the Progress & Freedom Foundation, the Software & Information Industry Association, and the Computer & Communications Industry Association." Oracle Corporation hired Investigation Group International (IGI) to examine the activities of the Independent Institute and the National Taxpayers Union. As a result, Oracle discovered that both the Independent Institute and the National Taxpayers Union were misrepresenting themselves as independent advocacy groups, when in fact their work was funded by Microsoft for the express purpose of influencing public opinion in favor of Microsoft during its antitrust trial. Microsoft also funded the Association of Competitive Technology for the same exact purpose. Left undisclosed, these Microsoft front groups could have improperly influenced the outcome of one of the most important antitrust cases in U.S. history. When Oracle hired IGI to investigate Microsoft's numerous front organizations, we didn't specify how IGI should go about gathering information. We did however insist that whatever methods IGI employed, those methods must be legal. IGI repeatedly assured us that all their activities were in fact 100% legal.